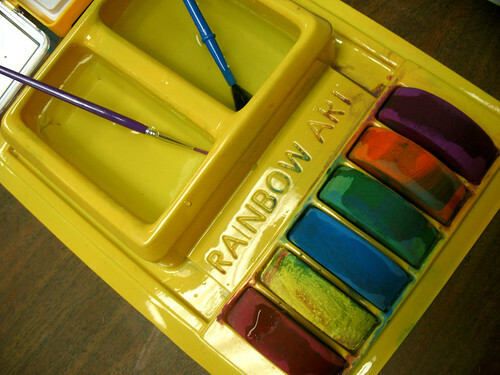 i am so thankful for these paints…found by a preschool mom at the thrift shop. moisten (or drench) in water for bright colors. they are more like chalk than watercolor. lots of projects to come with these. where do you get these? !